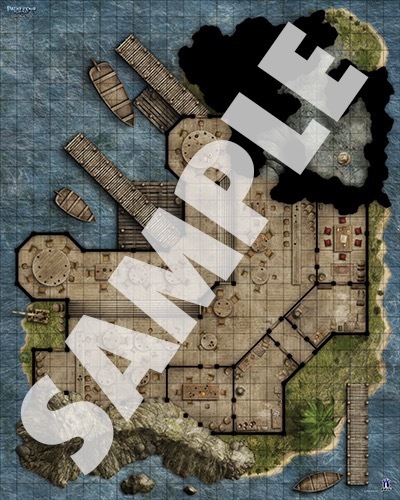 I wonder if this maybe depicts one or two establishments from Pathfinder Campaign Setting: Inner Sea Taverns? 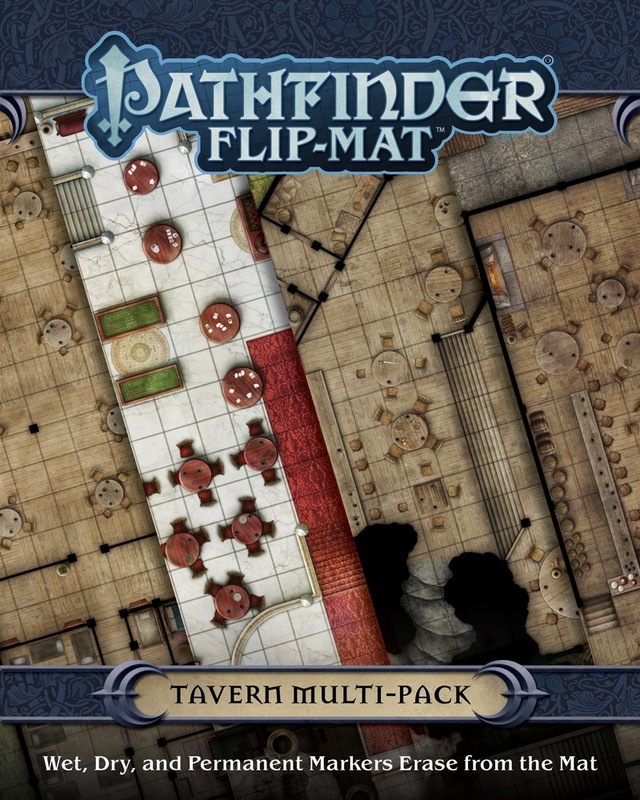 I have more tavern flip-mats than i use. These will have to differ considerably from what we had before to be of any interest to me. 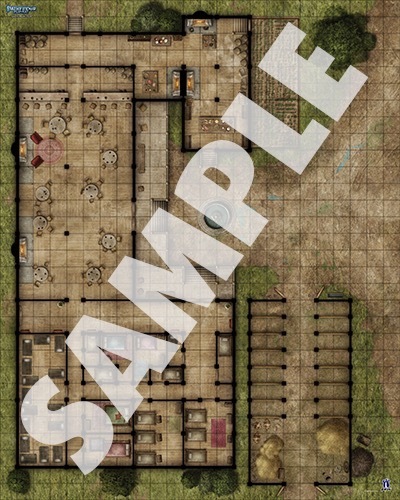 "The Rusty Dragon Inn" or a "Darklands tavern" would be a nice addition. 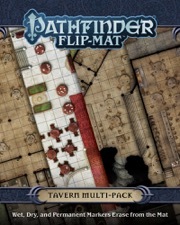 I kinda like the island & mountain taverns, but i think i'll pass on this multi-pack. The fancy tavern is a new addition. It will match up well with the urban sites sets. 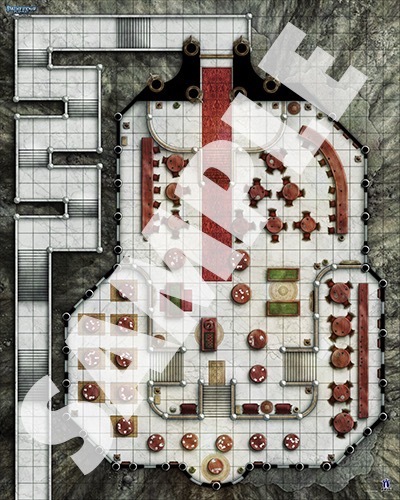 The hilltop/mountaintop gambling hall looks like it has a nice view, but ... all ... those ... stairs! I imagine that spellcasters can make a financial killing during their downtime just with Dimension Door spells and the like. "Departures every 15 minutes from the base starting at 11:00, from the top starting at 11:20. Last trip up at 02:00, last trip down at 02:50!" I really can't use any flip-mat where horse-boxes are 1 square broad. These mats are designed for use with miniatures and ALL horse minis are 2 x 2 squares. Also in reality horses may be transported in such narrow trailers, but they are not standing in such small stable-boxes all day/night. In the real world this would fall under animal-cruelty, in the fantasy world of Pathfinder it's just annoying. 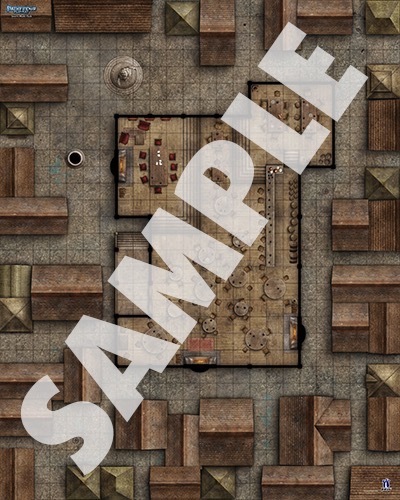 Now if there would be a medium sized "Pony" miniature, i could use this as a tavern for "small folk", but there isn't any. Ponies are in fact medium. There is a pawn for them.